We can all agree that everyone loves a good deal. If you were to find a coupon to save hundreds of dollars on a hotel, wouldn’t you do it? Well, this is precisely the foundational principle of Groupon. Established in 2008, this coupon mogul redefines the way that coupons work and how easy it is for consumers to get the best deal. It’s easy to operate and function and all businesses need to do is establish a merchant account with Groupon to offer different deals and services. However, whether it’s worth the investment or not is the real question. Let’s take a look at the advantages and disadvantages of opening a merchant account with Groupon. The true benefit in opening a merchant account with Groupon is the ideology that millions of people around the world are always looking for the best deal. Today, Groupon is considered the leading coupon and deal-maker in the industry. 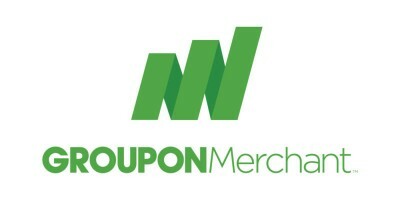 With that being said, by joining Groupon and establishing a merchant account, businesses could attempt to drive more sales and leads in a new and unique manner. Additionally, through opening a merchant account it can really help to rid old gear or items from your store, unless of course you are selling experiences. Lastly, the hopes of any merchant is to develop long-lasting consumer-to-business relationships. This is possible for those who are dedicated in using their merchant account to attract new, quality consumers. While on the surface all looks well with merchant accounts, it can prove to be incredibly risky. Reason being, Groupon takes 50% of all revenues that any deal generates. So, let’s do some math. If you are offering a coupon or deal that has a total value of $50. After the deal expires, you generated $25 worth of profits, Groupon will take $12.50, and you will take away $12.50 as well. While Groupon will argue that this can generate more traffic for a company, it’s a risky investment that can cause significant financial harm. At the end of the day, Groupon transformed the way that coupons and deals function. For many companies Groupon can take their business to new heights. On the other hand, it can lead to businesses closing due to lack of sales or a decrease in the total profits. Opening a merchant account with Groupon is risky venture that requires careful analysis and thought. It’s advised to carefully consider the opportunity costs before offering any deal or sale.